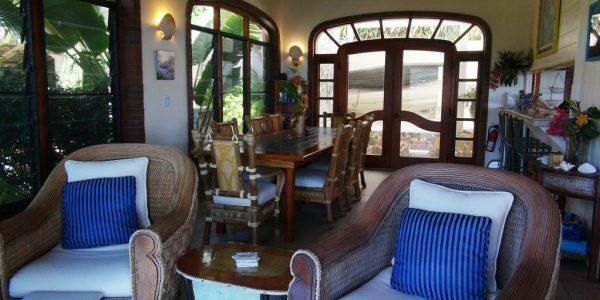 Get in touch with the fun, funky, and a bit slower life style on the Coral Bay side of St. John during your stay at the beautiful Dancing Dolphins Villa overlooking Coral Bay and the surrounding lush hillsides. Come see why The New York Times rated Coral Bay as #4 of the top 52 places in the world to visit. 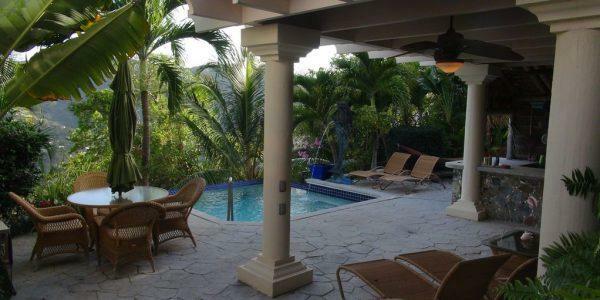 Built in 2007, this 2,400 square foot custom-designed home, with gated entrance, sits high on the hillside in the exclusive Upper Carolina neighborhood with spectacular views of Coral Harbor and the unforgettable Caribbean Sea beyond. 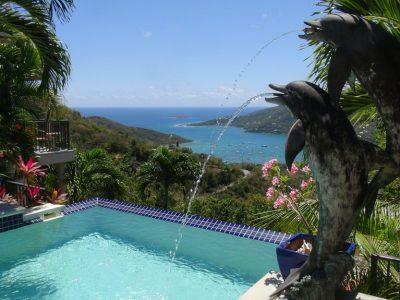 Dancing Dolphins Villa is just 5 minutes to the quaint village of Coral Bay and just 5 minutes from the first in the string of world famous beaches within the Virgin Islands National Park along the north shore of St. John. As you wind your way up the green hillsides to Dancing Dolphins, getting there is easy on the fully-paved roads of Upper Carolina. 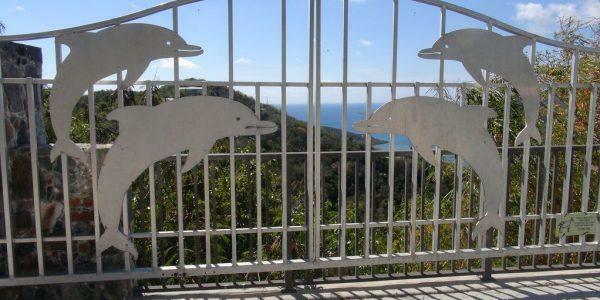 You know you have arrived when you see the decorative “Dolphin” gate awaiting your entry to the concrete driveway with ample parking. Guests will be greeted by lush, professionally landscaped grounds which include beautiful native flora and numerous tropical fruit plants such as pineapple, mango and plantains. Entrance to the main house is from the adjacent covered parking area through elegant, custom mahogany and glass doors. Amidst the greenery surrounding the main entry area, guests will enter the pool deck area that is privately located adjacent to the main house. Here guests can enjoy the refreshing pool and expansive 1400 square foot patio with loungers, wet bar, shaded sitting area, propane BBQ grill, and an outdoor table perfect for alfresco dining. After a day of beaching, sightseeing or shopping, the ‘tiki bar’ invites guests to relax with a cool drink and an occasional dip in the refreshing pool with the dolphin fountain bubbling in the background. 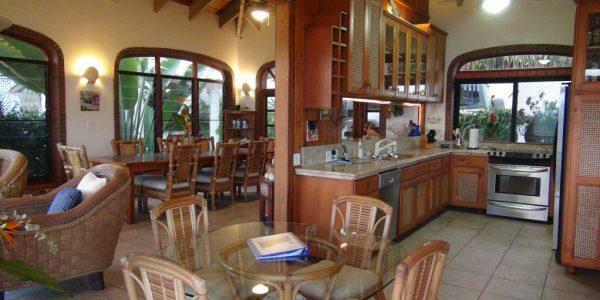 With traditional island design, Dancing Dolphins Villa features beautiful mahogany framed, arched windows, creative native stone accents, beautiful tile flooring, teak cabinetry and granite counters. 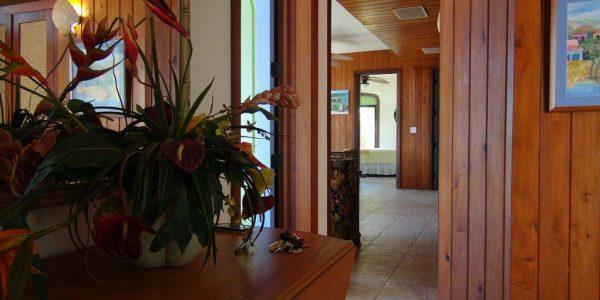 The island-style home features four bedrooms on two levels with one bedroom on the upper level and three others on the lower level and air-conditioning throughout. 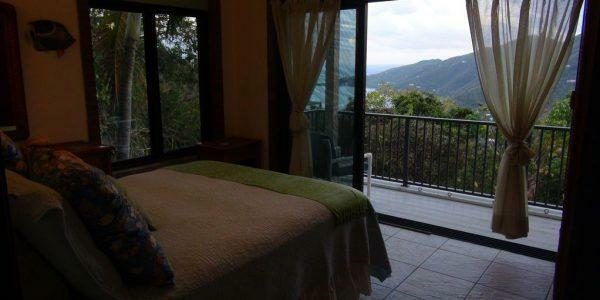 Unlike many vacation homes, three of the bedrooms in the main house offer unrestricted ocean views and full width decks that provide a relaxing area to ‘soak in’ the fabulous views. 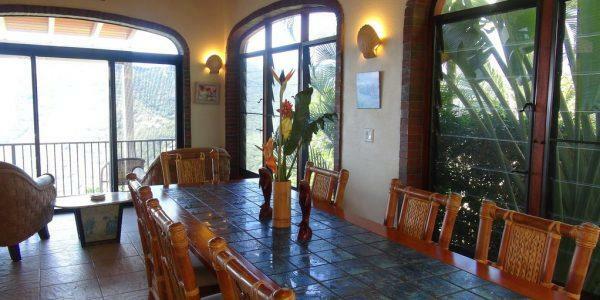 Entering the air-conditioned main level of the villa, guests will be greeted by the large, formal dining table and open air great room with comfortable seating areas framed by full wall sliding glass doors that open to a full width deck overlooking gorgeous Coral Bay and the Caribbean Sea beyond. A fully equipped gourmet kitchen and an adjacent casual dining area completes the great room. The air-conditioned master bedroom with king size bed and en suite bath also features full wall sliding glass doors that open to the full width side deck. 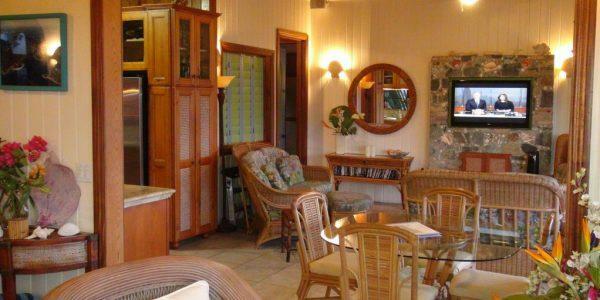 For guests who may need to take care of a ‘bit of business’ while on vacation, or those needing a private location for surfing the web, there is a small study that is also conveniently located on the main level of Dancing Dolphins Villa. High signal strength wi-fi is available throughout the property, and satellite TV serves the main level family room, master bedroom, and lower level family room. Access to the lower level bedrooms is by a partially covered stone walkway between the driveway and main house. Entry to the fully air-conditioned lower level bedrooms and living area is through convenient sliding glass doors. 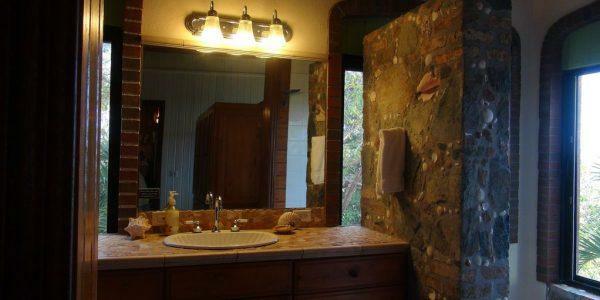 Once inside the lower level foyer, there is the full bathroom located immediately to the left of the entrance. 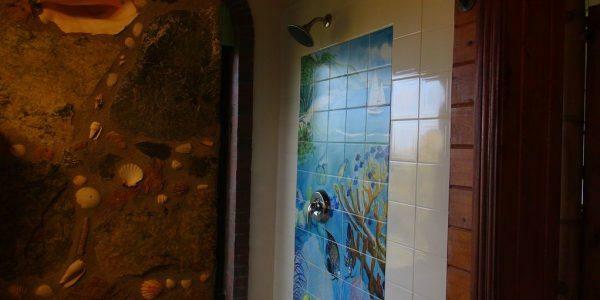 The first bedroom on the lower level is a queen bedroom and is located adjacent to the bathroom. 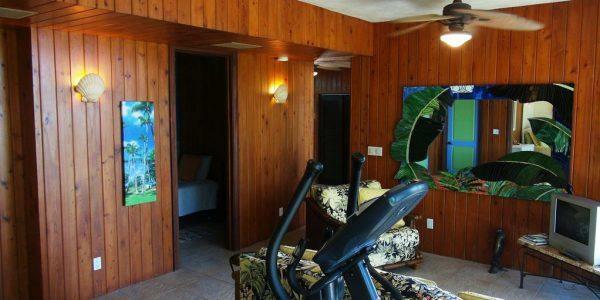 Beyond this bedroom is an open sitting area with a comfortable couch and chair, television, elliptical trainer and small desk. 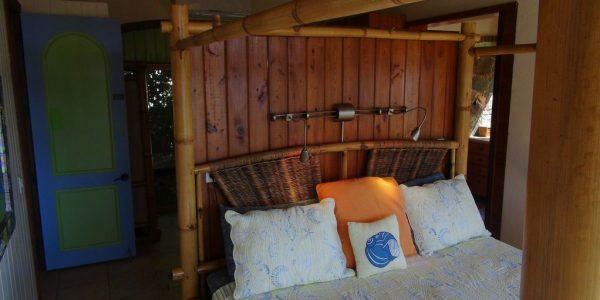 The other queen size bedroom is conveniently located directly off the sitting area and also shares the full width deck. 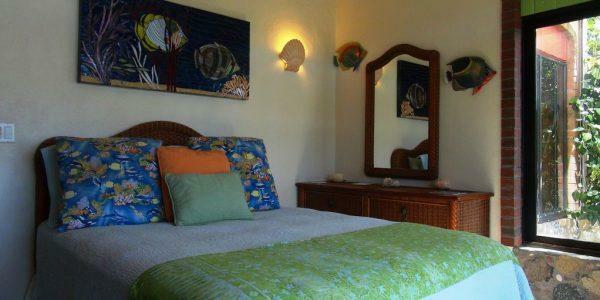 The twin bedroom is also located adjacent to the sitting area and features 2 twin sized beds perfect for children. There are full wall sliding glass doors leading to the full width deck in each of the queen bedrooms and the sitting area. 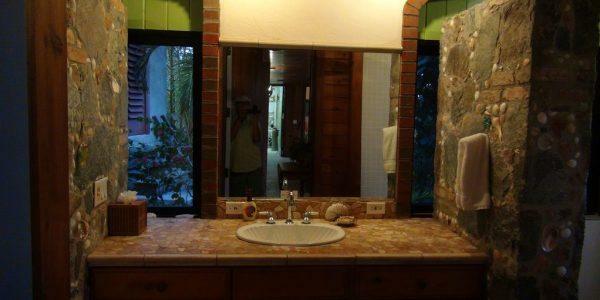 For your comfort, convenience, and security, Property Manager Rob lives discreetly onsite in a quiet, separate cottage. Rob is a long-time resident of St. John, so he knows the ins and outs of what to do and what to see, whatever your tastes. In addition to keeping Dancing Dolphins in tip top condition, he can help you plan your outings to make the most of your trip to Paradise – including hosting private charters on his 44 foot sailboat, “Harmony”. At night, you may even run into Rob playing his accordion in a band at one of the local hotspots – that’s why he’s known on the island as Accordion Rob! 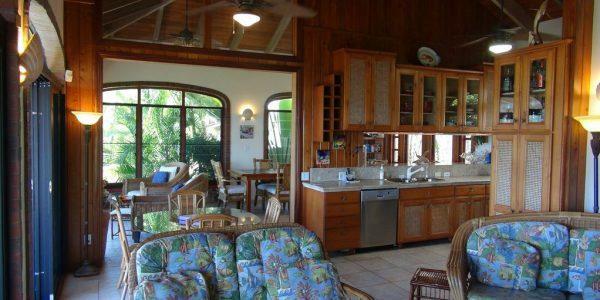 Whether it’s a day on a pristine beach, a hike along a National Park trail or a delicious grilled local meal enjoyed alfresco with an amazing Caribbean backdrop, Dancing Dolphins is one of the privileged few rentals to offer these and numerous other opportunities from an excellent location on St. John. Whether you are a couple looking for a romantic and very private vacation retreat or a large group of family or friends, Dancing Dolphins is the perfect choice for a once in a lifetime vacation experience. 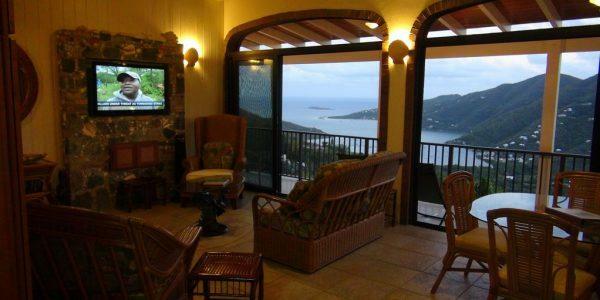 Come ‘Live the Dream’ on St. John at Dancing Dolphins Villa! 12/21/19 – 1/4/20: Contact us for rates, minimum stay period. Maximum Occupancy: Eight (8) guests. Children: Children under age seven (7) are not allowed without prior approval. Check-in/Check-out: Check-in time is 3:00p. Check-out time is 10:00a. Cancellation: In the event of cancellation all rental funds paid are 100% refundable up to 60 days prior to Guest’s arrival date. After 60 days prior to Guest’s arrival date no refunds will be granted. No refunds will be granted in the event of cancellation or early departure on or after Guest’s arrival date. 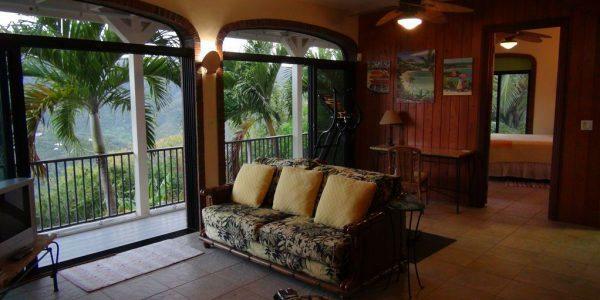 Arrival/Departure: Guest is responsible to provide transportation to/from the Property. 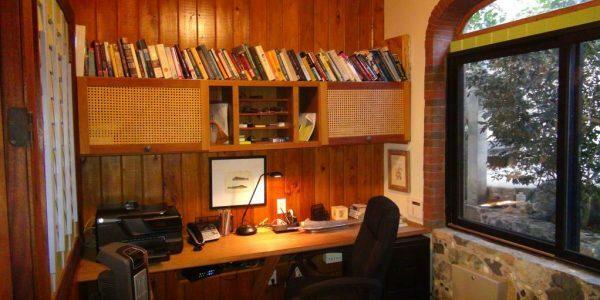 Information will be provided by Owner as to the location of the Property, and Property Manager will meet Guest at a pre-arranged location upon arrival. If Guest desires arrangements different from these, Guest must notify Owner at time of booking, and extra fees may apply. Damage Deposit: A damage deposit of $500 is required. Terms & Conditions: Full terms and conditions will be sent prior to booking.